That’s a great find Thomas. 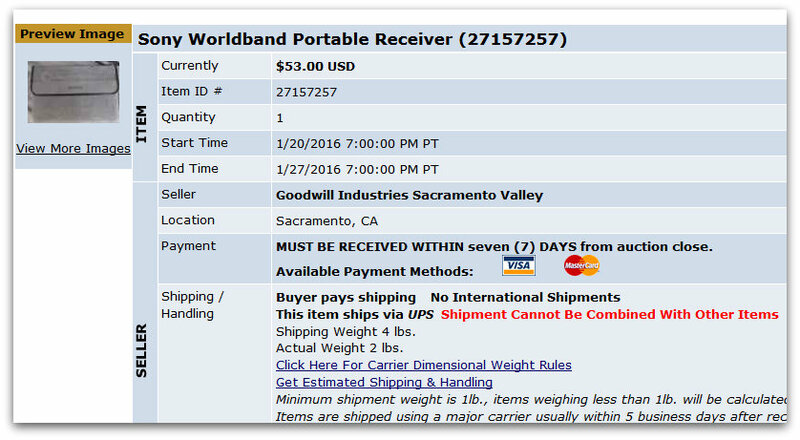 I hope the receiver continues to work well for you. As to eBay, it’s interesting to note that a lot of people who list radios for either buy it now or auction will put such items in the wrong category and even misspell the description of what they’re selling. 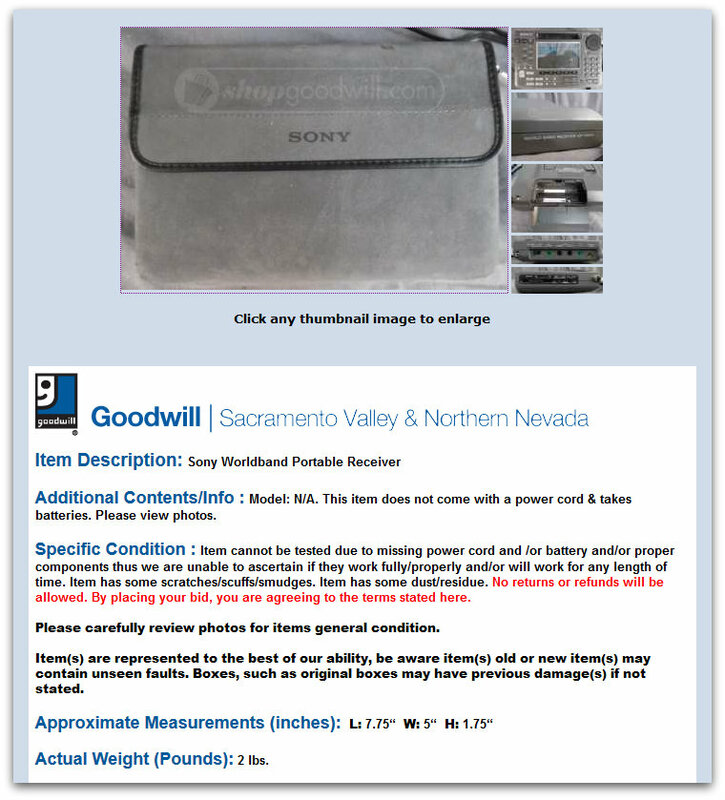 So it pays to check each closely-related category that radios get posted into – typically scanners, ham receivers, vintage or even car parts ! I really like that shot of the ICF-SW55 with the snow in the background. Just wonderful. Yet another great – and thoroughly enjoyable – piece. I’ve had lots of experience with eBay, and – like many folks here – usually go in with a “strategy” … a maximum price I’ll pay. It’s just like stocks … you know what something is worth, you look for a bargain purchase point – and you need to be willing to walk away. If you overpay, you usually get hosed. I’m working on a WWII history project right now, and have been buying old flight logs, journals, photos and reports (stunning what comes up for bid). I’ve been using the “best offer” feature a lot lately (for these and for some radio gear). With the “best offer” you get three shots, so it’s usually worth starting with a bit of a lowball offer (a bit below what you’re willing to pay, but not too low … or you risk alienating the dealer). Some of these folks counter, others have an automated price … and below that automatically decline. With both my project and with some radios I’ve been surprised to find that the first offer is accepted. I totally agree with the folks here that many of the conventional auctions go off at stunningly high prices. I always reason that, on the flip side, this gives me access to a wide selection of stuff that, years ago, I’d have to hit a swap meet or bunch of thrift stores to find. One final comment that’s sort of related. I really enjoy the posts here … but I enjoy the comments just as much. The commenters are clearly sharp people – with much more experence than I have – and I benefit from their insights, too. I’m always grateful for the time you all take to post comments here. Makes this site both entertaining … and highly informative. 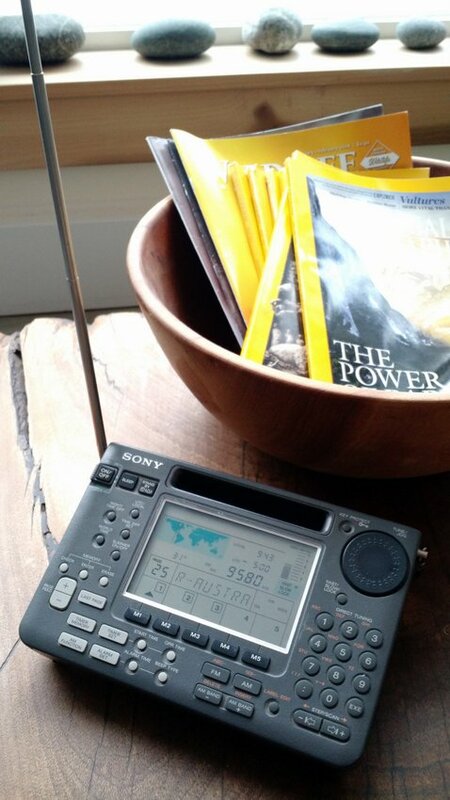 Given that … let me toss out a questio to you all … what kind of luck have you had finding and buying shortwave radios and related items from sites such as eham … (and there’s one other one I’ve used, but can’t recall it right now) … ? I saw one of those at a garage sale last spring, it was $100 or $125 Canadian. 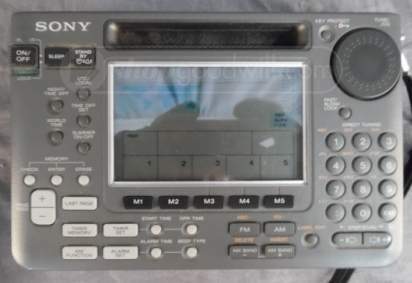 At least I think it was that model, I didn’t take in the model number and when I got home, I saw that Sony had two radios that had that sort of layout (with the tuning knob in the upper right corner). At one point I might have gotten all excited, but after finding a number of decent shortwave portables at garage sales, for a lot less, I wasn’t interested. 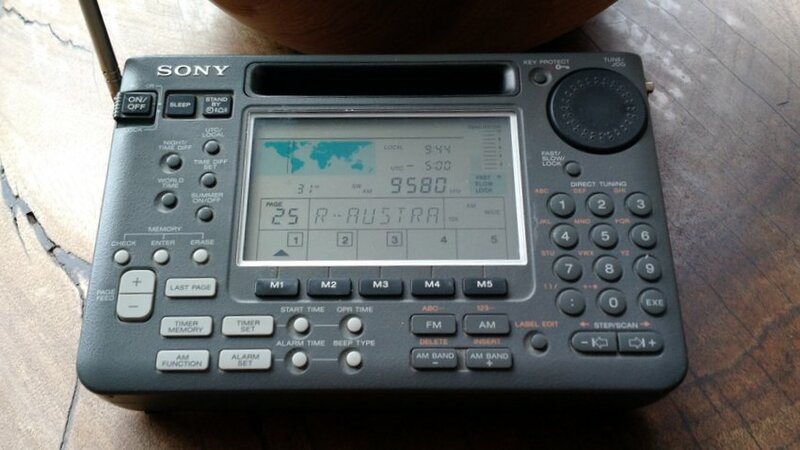 Right there at the sale, I wasn’t sure of the specs or what might be distinctive about it (other than the large display and that tuning knob) and the price was more than I was willing to spend on “just another shortwave portable”. That is an advantage of shopping from home, you can check up on what the thing is before deciding. 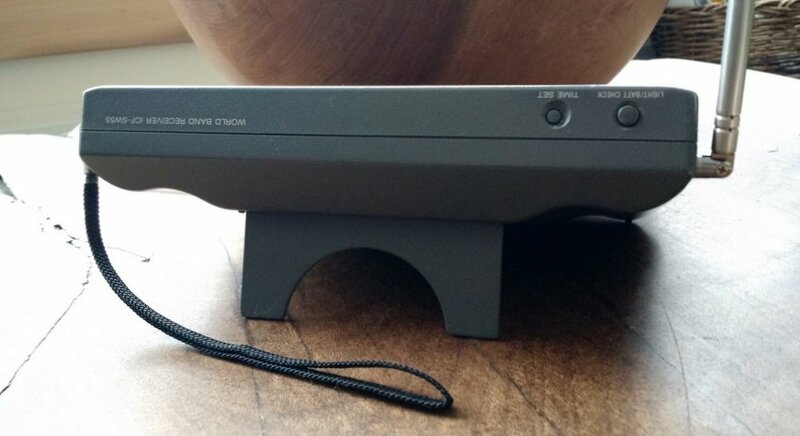 I know I’m not willing to spend that much at garage sales, in case the thing doesn’t work, but also because you may not know exactly what it is (there have been an awful lot of portable shortwave receivers in the past thirty years). But it works the same for the seller, price too high and few will be willing to take the risk. On something “exotic” like a shortwave receiver, somebody has to come by that’s interested in the first place, and that may not happen. Price too high, and chances are good it won’t sell. Ebay and the like gives a much wider potential market place for something “exotic”. There you can find more than a few people passing by that would be interested. Congrats on winning the auction at a reasonable price! I had a SW55 for a while back then, it’s a decent portable. The only real downside I can remember is that it couldn’t cope at all with a 100kW AM transmitter only 5km away, it would already overload when I held a picture of an antenna in front of the radio. 🙂 IIRC the BFO had a tendency to be modulated by the strong offband signal too. Other than that, it was a very decent radio for SW broadcast and all the memories with alphanumeric display made it really comfy for that job. The design was something special in those days and I still think it looks more modern than most new portables, and the build quality is top notch – compared with a Tecsun it feels like a brick, not flexing, no creaking and it’s quite heavy for its size. Great little Sony, Thomas. I love the map and terminator display. I like your method for online bidding. I was fairly active on eBay back when it was relatively new, 15-20 years ago when I was restoring a Chris-Craft sedan cruiser from the mid 1950’s. eBay was a good source for replacement Chris-Craft hardware and parts that I couldn’t find anywhere else. I won quite a few auctions back then using the same bidding technique. Back then it was called “sniping”. Some bidders didn’t like snipers! I can tie in sniping to SWLing. 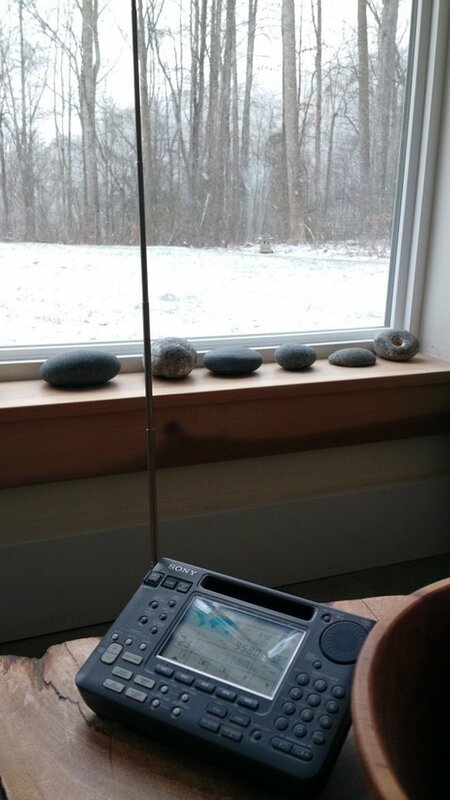 I would be on eBay and at the keyboard with WWV ticking away in the background. I’d fire off my bid about seven seconds before the auction closed. 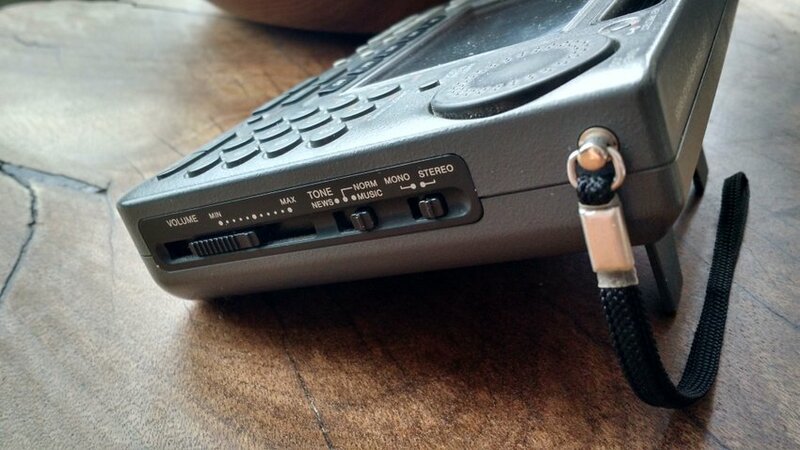 That worked pretty well back in the days of dial-up connections. You got a remarkable deal. I wish I were as lucky. I’ve had a few good ‘results’ with ShopGoodwill but not as good as yours, great work OM. Can’t wait for the test/review. 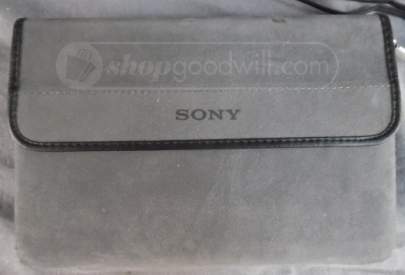 Still, your Sony is an excellent find – KUDOS & Enjoy! 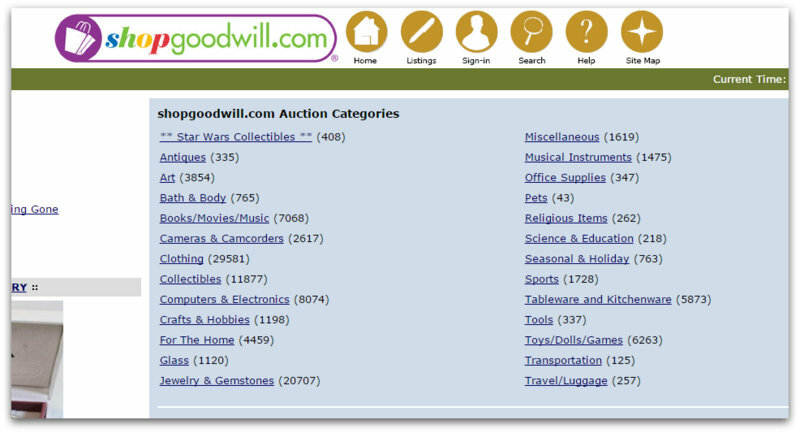 ShopGoodwill sounds like another EBAY. I was never successful with those auctions, especially cameras. You have to figure out what a fair price is and what you are willing to pay and the maximum you are willing to go. Most bids go way over that. I only bother on EBAY if it is a “buy it now” that is reasonable price. Here is another tube radio from “that” auction, Thomas.